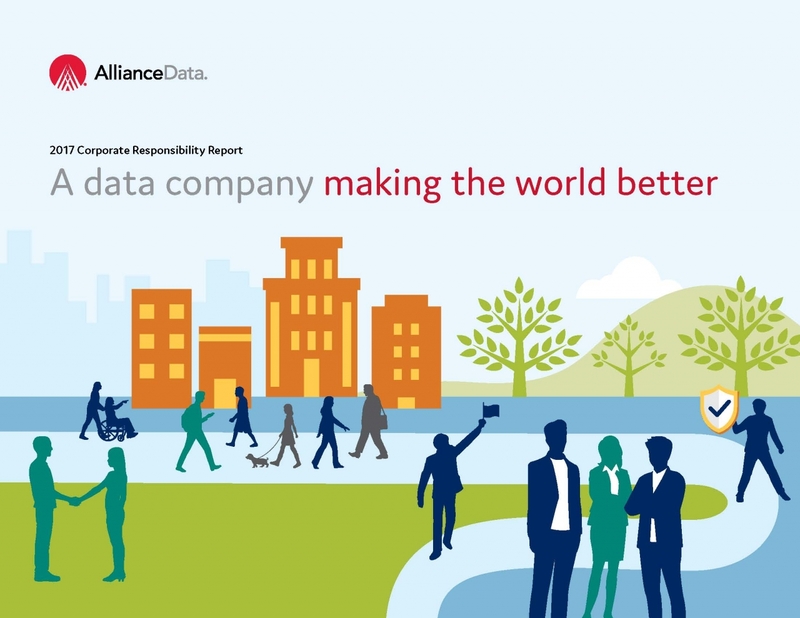 PLANO, Texas, June 29, 2018 – Alliance Data Systems Corporation (NYSE: ADS), a leading global provider of data-driven marketing and loyalty solutions, today released its annual Corporate Responsibility Report for 2017, which reviews accomplishments over the past year and sets new goals for 2020 across all three of the company’s lines of business – Alliance Data’s card services business, Epsilon and LoyaltyOne – as well as the parent company. This year’s report presents an updated corporate responsibility strategy that provides a blueprint for activities over the next three years, with a focus on leveraging the company’s expertise in technology and data analytics to benefit the social good – a purpose-driven approach the company calls “data for good.” Download a copy of the highlights report or the full report. To learn more, view the full 2017 Corporate Responsibility Report.